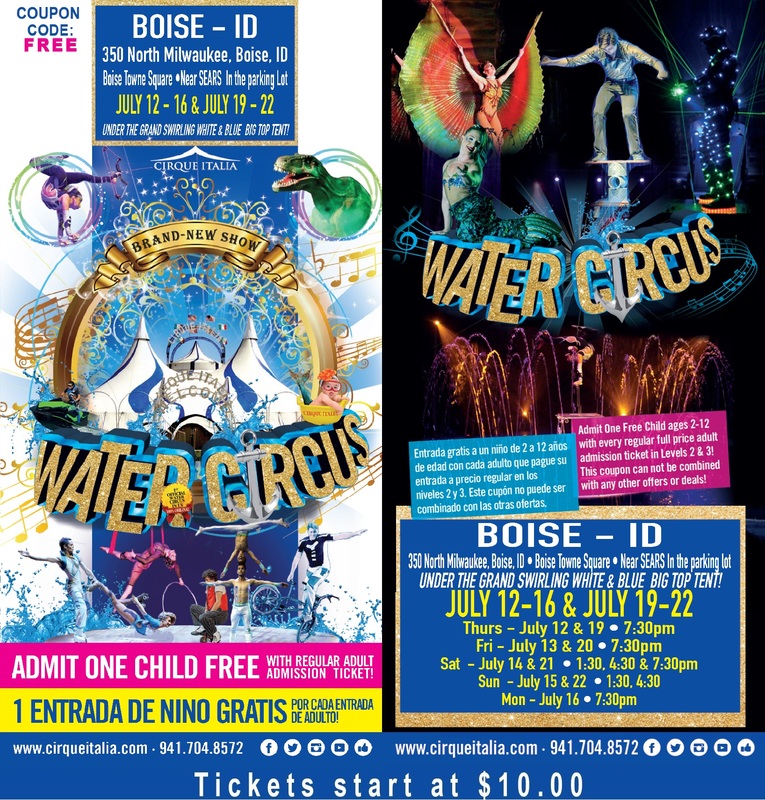 CIRQUE ITALIA IS THRILLED TO PRESENT THEIR NEWEST AND GREATEST CREATION – AQUATIC SPECTACULAR. Aquatic Spectacular came to life all thanks to its imaginative creator Manuel Rebecchi, along with invaluable direction and production management by Chanté DeMoustes. Cirque Italia’s brand-new theme show is an artistic blend of human abilities, technology and the element of water. This one-of-a-kind production combines water fountains, jet-skis, pirates, and more in a fun filled atmosphere all ages are sure to enjoy. Performers from all over the world have been brought together under the enchanted spiral of the white and blue big top. The merging of their astonishing skills with the poetic element of water has led to the creation of a truly unforgettable experience. Cirque Italia has managed to create a beautifully unique theatrical production by combining the gracefulness of the human body with the calming fluidity of water, along with bursts of power and excitement as well. One might be concerned that such a spectacular entertainment opportunity is out of his/her price range, but Cirque Italia is committed to bringing a Las Vegas quality production to your hometown at an affordable price. They also feature many special offers and promotions.Cirque Italia continues to contribute to the modernization of the performing arts and the circus industry by abiding by a strict animal free policy. Located: Near Sears, in the parking lot, under the grand, swirling white and blue tent!